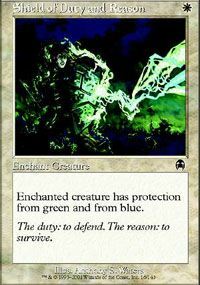 Enchanted creature has protection from green and from blue. 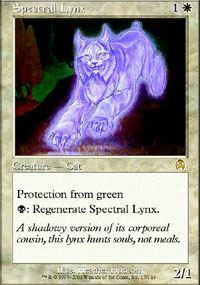 Protection from greenB: Regenerate Spectral Lynx. 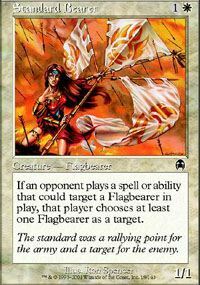 If an opponent plays a spell or ability that could target a Flagbearer in play, that player chooses at least one Flagbearer as a target.